Home » Plan for university » Why attend university in Canada? Increasingly, students around the world are discovering the advantages of going to university in Canada. The attractions? The country’s first-rate education, its diverse study opportunities and its safe, friendly communities. In 2018, there were more than 215,000 international students from more than 200 countries on Canadian campuses. The country and its universities want to grow their international student populations, so you can expect a warm welcome. International student enrolment grew by 15 percent between fall 2017 and fall 2018 and is outpacing total full-time student growth in every province. Canadian degrees are highly regarded all over the globe, and international students choose Canada for higher education that will lead to successful careers. Once in the country, students from abroad appreciate the excellent quality of education they receive, with first-rate, approachable professors and the freedom to choose flexible and/or interdisciplinary programs, as well as on-the-job training through internships. They also cite the ethnic diversity of Canadian campuses – and of Canada itself, one of the world’s most multicultural nations. Meanwhile, having a Canadian university degree might make it easier for students from abroad to obtain permanent residence in the country. Then there’s the relative affordability of a Canadian education: the country’s cost of living and tuition fees are generally much lower than those in other English-speaking countries. At the same time, Canadian universities offer many services to help foreign students adapt to living and studying in Canada, including orientation activities, student advisors, language support, academic associations, social clubs and other programs. Canada is widely considered one of the most livable countries in the world. In January 2016, the World Economic Forum in Davos, Switzerland, named it the second best country to live in, after Germany, on the basis of factors including affordability, economic and political stability, safety and excellent health care and school systems. You may imagine Canada as a dreary backwater of ice and snow, but in fact, it is vast and varied in climate and terrain, with some parts of the country – most notably British Columbia’s Lower Mainland, where Vancouver is situated, and Vancouver Island – getting little or no snow in winter. And in places where winter is cold, you can enjoy activities such as snowboarding and skating. The country boasts cosmopolitan cities that rival the great urban centres of the world – with restaurants serving food from around the globe – but that often have far less crime. Canada has a vibrant culture and has given the world such renowned artists and thinkers as Nobel-winning author Alice Munro, rocker Neil Young, actors Ryan Gosling, Rachel McAdams and Seth Rogen, pianist Glenn Gould, Nobel laureate and co-discoverer of insulin Frederick Banting, singers Joni Mitchell, Leonard Cohen, Justin Bieber and The Weeknd, and many, many more. Its less famous citizens, meanwhile, have a reputation for being polite, tolerant and progressive. Thinking of studying in Canada? Here’s an overview of its university system to you get started. Canadian universities are among the best in the world. High academic standards and rigorous quality control mean you will receive a world-class education at any postsecondary institution that is a member of Universities Canada. Education in Canada falls under the jurisdiction of the country’s 10 provinces and three territories. This means that robust quality assurance in higher education is maintained through provincial legislation and often includes reviews by outside agencies and internal reviews by the universities themselves. Membership in Universities Canada, the national voice for Canadian universities that represents 96 public and private not-for-profit universities and university degree-level colleges, requires that an institution be committed to a formal, approved, transparent policy to ensure the quality and continuing improvement of its academic programs. Quality assessment must be based on both self-evaluation and peer review. Some programs, for example nursing and engineering, are also subject to accreditation by professional authorities. 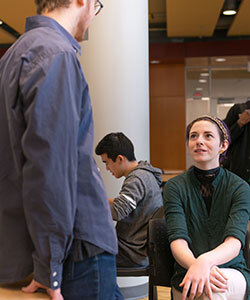 Universities Canada’s member institutions offer a wide range of choices: large and small; English, French or bilingual; in vibrant cities or cozy towns; or reaching out through the Internet. What Canadian universities share is a dedication to high-quality teaching and research, and to providing opportunities that enhance your learning, career and life. 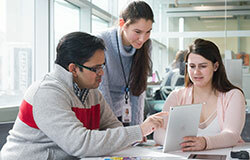 For more information on Canadian higher education quality assurance, visit univcan.ca/universities/quality-assurance. Universities, colleges: what’s the difference? Most members of Universities Canada are called universities, but some have different names, such as college, university college, institute or school. What they all have in common is the power to grant university degrees, which in Canada are generally bachelor’s, master’s and doctoral (usually PhD) degrees. Canada also has non-university, degree-level postsecondary institutions. Many of those are also called colleges and most focus on applied or vocational training. Some members of Universities Canada offer joint programs with vocational institutions, while others offer both vocational and degree programs. > Why attend university in Canada?